You is one of the mostly used broadcasting site for streaming video, You can find all types of video such as any educational, Tech or any Music Video and one of the mostly used by millions of Users.On YouTube you can just stream by you can't download those video to your computer directly but their are some software which allows us to download YouTube Video such as IDM (internet download Manager) which allows us to download YouTube video and also increase the speed of downloading. But this is not advisable for all because some must be having Low RAM or any other problem with their system, Using any program uses CPU time so it is advisable to use minimum Programs Running on your system so to keep your system healthy. Step1:- Go to YouTube and Click on any Video which you want to Play and Download it. Step4:- You will redirected to saveyoutube and thier you will see Download Option. 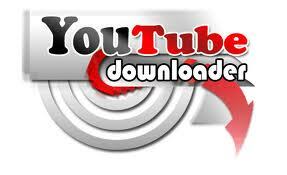 Step5:- Click on Download and enjoy all video, So you can download any video from YouTube without software Installed.